Planning a summer road trip is great fun. Getting the nearest and dearest together for a staycation in the UK. Or inviting the whole family on a European camping trip in the warm summer months is what life is all about. Don’t spoil the perfect moments by trying to cram all of your road trip ‘essentials’ into a micro vehicle. Take a look at our list of the best cars for road trips. In love and planning to make this summer the best yet? A romantic road trip of I spy games and pretty scenery is in order. You’re looking into hiring a car for the trip but can’t decide what you’d like to be sporting that suits for comfort and style. Well, we’ve trawled through and are awarding the best car for a romantic couples road trip to the Porsche Boxter. 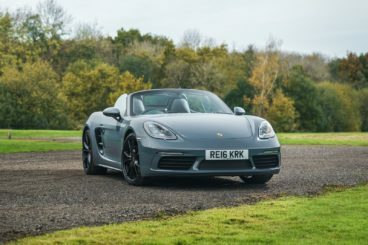 The Boxter is a sporty looking number with a drop-down roof for that added bit of glamour. The roof rolls down in just under nine seconds so you’re never too far away from feeling the warm summer breeze in your hair. It’s not the most spacious, but it is comfortable and you’ll feel a million dollars driving it. The boot space is deceptively large too, so there’s no need to scrimp on the packing. It’s midway through the 6 week school holiday and the little angels are beginning to cotton on that they’ve watched the same Disney film every day for the past 2 weeks. Not only that, they’re talking about going to theme parks and the seaside and want ice cream all the time! Avoid the dreaded words “I’m bored” and plan a family road trip. 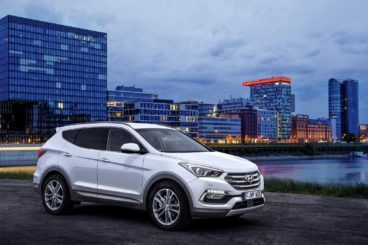 Space is key in a large family car and so with this in mind, we have awarded the Hyundai Santa Fe the best car for the 2.4 children family holiday. The Santa Fe is not a traditional MPV. Offering 7 seats with plenty of room and a superior driving experience. Unlike some crossovers, however, it is relatively spacious, meaning no more grumbles from kids in the back row of seats. There’s an inbuilt touchscreen navigation system too, so no fretting about getting lost. Are we there yet? Girls on tour! Wherever your destination it’s all about spending quality time together. The tunes blaring for a sing-along and cases packed with summer dresses ready for a few nights out on the town! Boot space is a must, as well as a comfortable drive. 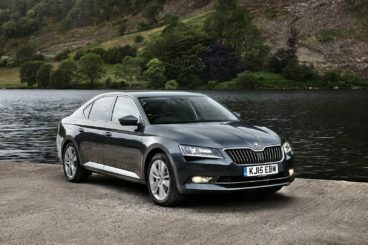 We’re awarding the Skoda Superb Estate with the best car for a getaway with the girls. It has Rolls-Royce levels of spaciousness, cup holders wherever you need them and a whopping 660-litre boot space. Imagine all of the shoes you can fit in there! Lads, lads, lads. Off fishing or golfing this summer? You’ll have a whale of a time in our chosen best car for a getaway with the boys’ category. 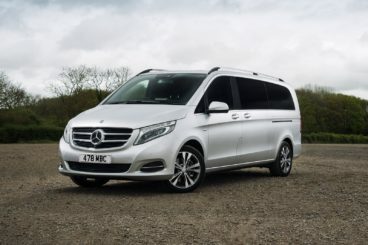 The Mercedes V Class ensures no man gets left behind. A well built and comfortable car allows for up to 8 passengers. The rear seating can be aligned to face each other making the journey itself a social gathering. This car really is perfect for long distance driving. Now it’s just a case of agreeing on the playlist. Oh, I do like to be beside the seaside! Planning a trip to the coast during summer gets me feeling all warm and fuzzy inside. If you love a stroll along the beach with ice cream in hand. Or perhaps you’re on a mission to find the best seaside fish and chips. 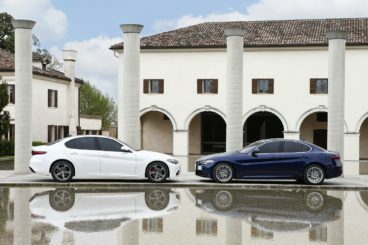 Either way, you’re going to want to travel in comfort. We’ve selected the Alfa Romeo Guila as the winner in the best car for an over 50’s road trip. Promising stunning Italian looks and comfort all the way. All that’s left now is to pack up and head off! What About Keeping your Car Safe on a Road Trip? OK, maybe it wasn’t all you needed to think about. 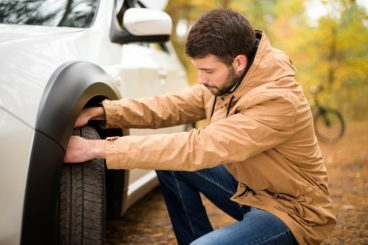 If you’re not hiring a car for your trip and sticking with your good old reliable then you must perform some safety checks before you leave. Tick them off the list below to ensure you don’t miss one! Clean the car and remove any items which you do not need. Vehicles weighed down to cost more in fuel to run, so save some ££ as you’ll be travelling long distance. Be sure your roadside assistance will cover you for towing while you’re on holiday too. How can I prevent my car from being a target to thieves while on holiday? Taking a car on holiday can be daunting. Of course, you want to protect the car, but also the contents of the vehicle. These tips might help you feel more secure. Think like a thief. Most thieves are opportunistic. If they see an opportunity to take advantage of a situation then they will. Ensuring your car is locked and there aren’t any desirable items left on display is a must. Store anything you don’t want to take out of the car inside the glove box, or another out of sight place. Park your car in a driveway, garage or well-lit area on private property where possible. Or, in a controlled public car park with CCTV. When parking, don’t make it easy to get your car out. This sounds silly because you’ll be inconveniencing yourself. But think like a car thief and they won’t choose to steal a car that will take longer to move. Turn your wheels in towards the car you’re parking next to or the kerb and don’t reverse into a parking space. Deter a thief with an anti-theft device. Most criminals will be put off spending time trying to remove a device like this. Instead, they’ll move on to the next car. Good choices are stickers to say that the car is tracked and etched window alarms. Factory-fitted anti-theft devices are best because today’s modern thief will easily be able to overcome cheaper alternatives. What is the best way to prevent thieves from targeting my car? The best ways to keep your vehicle safe is with a tracker, wheel locking nuts, and a sticker saying the vehicle is alarmed. Plus you should keep the inside tidy, the car locked, the windows shut and everything out of sight.This advertises to a thief that you are safety conscious and they would be far less likely to attempt to commit a crime against you. It would simply be too hard and too risky for them.